Unlike your female colleagues who have a variety of outfits to choose from (i.e. Dress, Skirt, Jeans, ¾ Pants) and a palette of colors to match, guy’s options are way limited and those that sticks to the safe colors are very likely to be seen as wearing uniforms (good old plain Grey, Blue and Black top). For bottom, Black, Charcoal or Navy color pants. Other varieties will be checked and stripes and that about it. How then do we stand out (yet not stick out) in terms of dressing in office? Are we going to add that floral fabric lining inside our collar? Wear a brooch? Today we have 3 suggestions you can incorporate almost immediately to instantly to stand out from the crowd in office yet don’t appear to be hungry for attention. 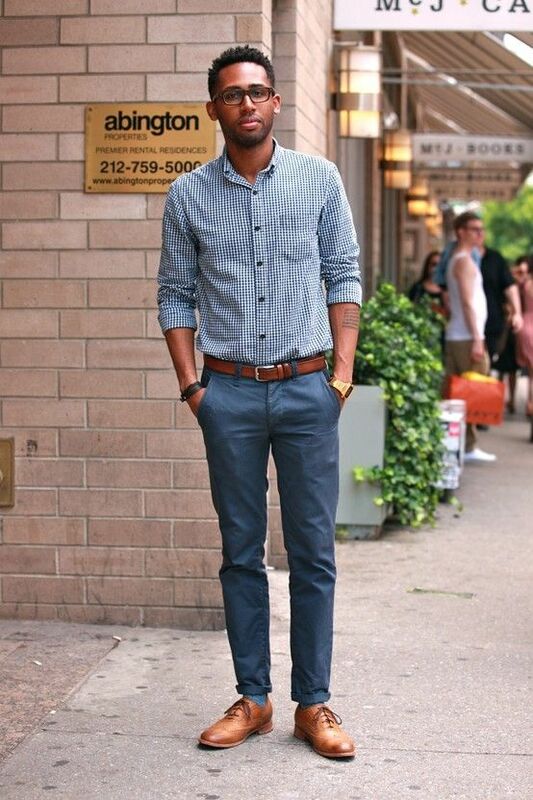 Try switching out your black shoes and belts with brown ones instead! You don’t have to worry about switching to brighter shades of brown as a start, go for dark brown leather. The idea is to switch things up so as to inject some varieties in your daily wear. Common concerns that deter guys from trying brown belt and shoe are that it will make them look and appear fatter (brown belt) and even shorter (brown shoes). We wouldn’t disagree as these concerns are legit to a certain extend but a few things can be done to counter these. Other than losing weight and getting yourself in shape, make sure you are getting the right fit of clothes for both top and bottom. Also opt for thinner belt, but not too thin that it looks like it will break anytime. For shoe wise, opt for sleek designs that are less bulky looking (mainly take note on the sole and toe area). One thing to note when wearing brown belts and shoes is to be sure to go with matching color. It need not be the exact tone of brown, but it should be close (ie dark brown belt with dark brown shoes). But yes, it MUST NOT be different colour. Meaning, definitely no black belt with brown shoes or vice versa. Switch those monotonous socks to something fun and more vibrant. Guys in Singapore are typically more conservative when it comes to office wear for obvious reasons. Typically worried about being judged or that they might not be treated as seriously by management or fellow subordinates. For a start, try on the ones with darker color and lower profile print. You will notice an increase in people using the socks as a conversation starter and compliments will start rolling in. From there you will build confidence to try bolder designs. Again, there is no need to worry that you’ll need to do a complete wardrobe makeover by replacing all current socks with the funky ones. Just put on the fun ones on days that are more casual or on days you know there will not be any ‘serious’ meeting. No excuse, check out this post on the comprehensive list of places to get them. NOTICE: If you are wearing the free black socks from the Army E-Mart, you have been judged. Many times over (Trust us). #3 Switch out that tie! For starters, simply switch colors or try ties with prints. Some tie even comes in obvious cambric tone which is ideal as they are more interesting and more lasting to look at. 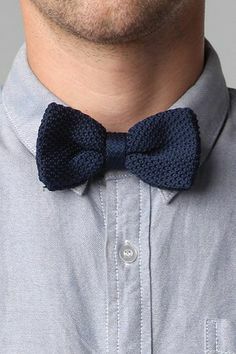 If you already have a variety of colors, try switching to knit ties or even bow ties. Sure to be a conversation starter, these ties are ideal when differentiating yourself from others and be seen as a fashion forward individual. And nope, you don’t need to have any vision problems like short-sightedness, long-sightedness, astigmatism or presbyopia to incorporate this. Computer lenses have proven to help reduce and prevent eyestrain, blurred vision or computer-related headaches by reducing the glare from your devices. It doesn’t cost much to get a nice pair but yet this investment can go a long way in protecting your eyes and giving you an alternate look in office or outside. No idea where to get one? OWNDAYS – One of the pioneers in making hipster specs accessible to the masses, OWNDAYS carries a variety of original private brands that’s in-line with their branding concept. OWNDAYS is quickly becoming a household name in Singapore with a store in almost every mall in Singapore (see full shop list here). Visual Mass (Local label) – For original designs, check out local label Visual Mass (also featured in our resource post) for their quality (the frame can be twisted 180 degrees), light weight and super value for money (frame + prescription at $99) spectacles. All specs are designed by Visual Mass and produced in Korea. We strongly recommend checking them out even if you decide not to get anything; their shops and online store are designed by our very own independent design studio – Bravo Company. Observer Optical – They stocks quite a comprehensive collection of stylish specs at reasonable price. Their outlets are located in Bugis & i12 Katong. Queensway Shopping Centre – A wide variety of optical shops can be found at level 1 of Queensway shopping Centre. And there you have it, 3 plus 1 things you can implement almost immediately to stand out from your male colleagues in office. And these should be treated as investments that can be used again and again. Start by trying one or two of these recommendations and you will start noticing the different (hopefully positive) attention from your colleagues. After hearing our list, how many of these have you already been wearing in office? Or which of these are you most interested in trying out? Feel free to comment to let us hear what you think, or do you have other recommendations as well. Also, don’t forget to come back and share your experience should you have tried implementing one or more of these (be it good or bad experience). Cheers!